Cannabidiol is being hailed as a revolutionary medicine by some – so what is CBD, how does it work, is it legal to purchase or possess, what are its side effects – and where do you buy it? This guide provides a broad overview of CBD. Cannabidiol is one of the many cannabinoids present in cannabis; both in plants used for medical marijuana purposes and also therapeutic/industrial hemp. Cannabinoids are compounds that act on particular receptors in cells that alter neurotransmitter (chemical messenger) release and help regulate cognitive and bodily functions. Cannabinoid receptors aren’t just present in humans, they can also be found in animals, birds, fish, and reptiles; all of which also create their own cannabinoids called endocannabinoids. There are two main types of receptors that make up the endocannabinoid system (ECS) – CB1 and CB2. CB1 receptors are mainly found in in the brain and nervous system, plus in peripheral organs and tissues. CB2 receptors are a part of the immune system. The psychoactive phytocannabinoid (plant cannabinoid) THC (tetrahydrocannabinol) activates the CB1 and CB2 receptors. THC is the cannabinoid that creates euphoric/hallucinogenic effects commonly associated with marijuana. Cannabidiol is non-intoxicating and can dampen the psychoactive action of THC. While CBD does not directly stimulate CB1 and CB2 receptors, it activates others including adenosine and serotonin receptors. This interaction and resulting release of neurotransmitters can have positive effects relating to anxiety, inflammation, cognition, motor control, pain perception, nausea and appetite. Cannabidiol is often sold as CBD oil, the potency of which can vary anywhere from a few percent to more than 90%. 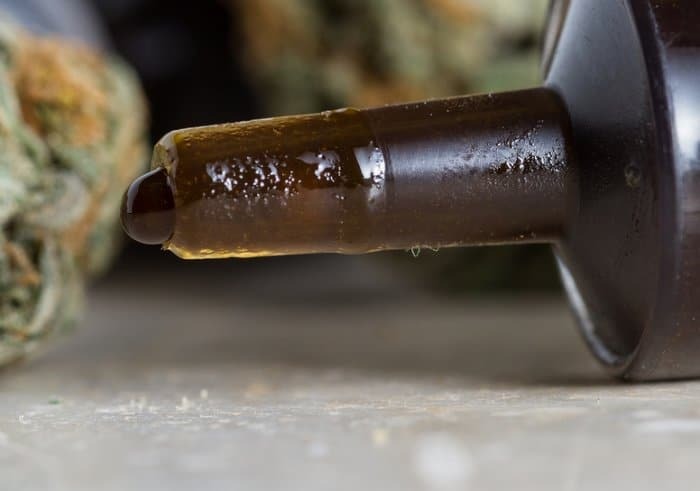 As a general guide, the oil is often greenish or golden to dark brown in colour and varying in viscosity depending on the extraction method used and concentration. CBD oil may also be sold in capsules or in sprays. No. Hemp oil (more accurately, hemp seed oil) is extracted from the seeds of industrial hemp and has very low CBD levels. Its applications include use in food, as a dietary supplement, in personal care products, paints and biofuel. CBD oil is made from the flowers, leaves and stalks of industrial hemp and its uses are strictly medicinal. Cannabidiol is usually extracted either through the use of solvents or through supercritical/subcritical CO2 (carbon dioxide) processes. At certain temperatures and pressures, carbon dioxide acts like a solvent, but without some of the disadvantages. Subcritical CO2 extractions involves a low temperature and low pressure process, whereas supercritical involves high temperatures and pressures. In terms of producing cannabidiol, supercritical CO2 is arguably better as it yields more of the cannabinoid and in a shorter time-frame. However, some would say subcritical is superior as it preserves essential oils and other potentially beneficial chemicals other than CBD that are present in cannabis. One of the major advantages of utilising industrial hemp (sometimes referred to as therapeutic hemp when grown for CBD) for cannabidiol extraction is in relation to regulations. Because medical cannabis and other forms of marijuana tend to have high THC levels, it can be much more difficult to legally cultivate given the strict laws in many countries. These laws have often evolved as a result of the UN’s Convention on Psychotropic Substances. While THC is scheduled in the Convention, cannabidiol is not. In Australia, industrial hemp can be grown in several states if appropriately licensed as long as the THC level is below a certain percentage (.3% – 1% depending on the state). While low in THC, some industrial hemp strains can have a cannabidiol concentration of up to 20 percent – and selective breeding efforts may see this boosted even higher. Generally speaking, cannabidiol is well tolerated even in quite high doses – and it certainly seems to have far fewer side effects and complications than the medications it sometimes replaces. According to this paper from 2011, CBD administration in human studies did not result in any side effects – and this lack of side effects was noted across a wide range of dosages, including acute and chronic dose regimens. Also, tolerance to CBD did not develop. However, like all medicines, side effects can vary person to person and research is ongoing, so it should not be assumed CBD is totally side-effect free at this stage. While cannabidiol has an excellent safety profile, it should still be kept out of reach of children and administered with care; under the guide of suitable medical supervision. Does CBD Convert To THC In The Stomach? There have been some studies to suggest it does; but given those taking cannabidiol don’t appear to experience effects usually attributed to THC, any conversion would appear to be minimal. The number of countries where cannabidiol is legal is quite astounding – a guide can be viewed here. It should be noted there may be specific rules varying from country to country that need to be observed in procuring and possessing cannabidiol. Is Cannabidiol Legal In Australia? Currently, cannabidiol is included in Schedule 4 (prescription only) of the Poisons Standard in preparations for therapeutic use containing 2 per cent or less of other cannabinoids. This means you’ll need to find a doctor who is prepared and authorised to prescribe it and then you’ll need to source it; ensuring that it matches the prescription and does not contain more than 2 per cent of other cannabinoids. Failure to observe these rules could land you in legal trouble. CBD based medications can also be imported through the Special Access Scheme (Category B); but this process can be confusing, expensive and time consuming. Where/How Do I Buy Cannabidiol? Thanks to the internet, buying CBD oil is as simple as a few clicks – there are many online merchants selling it now. Like buying anything online, you should undertake due diligence as well as ensuring you observe any relevant laws in your country. You should also check with the vendor if they are able to export to your country. Bear in mind too that CBD vendors can be anything from unhygienic back-shed operations extracting it using questionable methods and with inconsistent results, to laboratories with cutting-edge clean rooms and precision instruments to ensure consistency of product. When choosing a cannabidiol vendor, take special note of the CBD % levels of the product offered, method of extraction and request to see certificates of analysis provided by an independent third party laboratory. It can also pay to hunt around for reviews of the company see what others are saying about it and their products (but beware of fake positive reviews), which can provide somewhat of a guide. Be very wary of companies promoting cannabidiol as a cure for just about everything – it isn’t. Like any medication, its therapeutic effects will vary from person to person. If a company is engaged in exaggerations or making grand promises, then it can be an indication that the product may be sub-standard too. 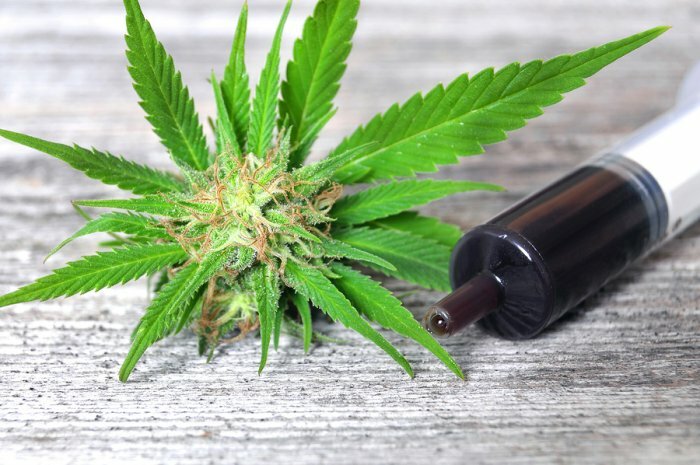 It’s certainly not unheard of that some products marketed as CBD oil have little or no cannabidiol whatsoever, or may be contaminated – a situation that could be deadly to someone with an already compromised immune system. Also be equally wary of low prices as it can be an indicator of a low quality product. Quality CBD oil isn’t cheap, with the cost reflecting the complexity of manufacturing a good product.